The Sport Nautique 216 combines sleek automotive styling with elegance, comfort and versatility. It is ideal for novice to intermediate wakeboarders, creating a well-shaped wake and a clean lip to boost riders. 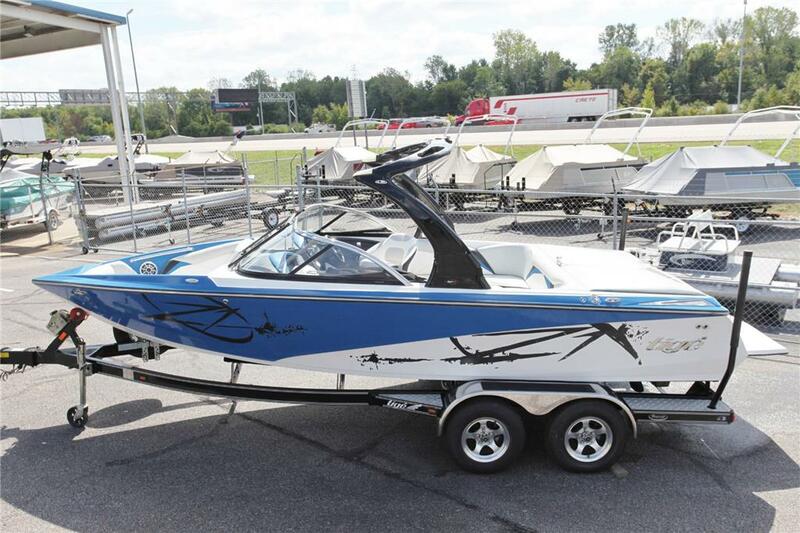 On the outside of the 216, new graphic options stand out on the water and are sure to start a conversation. Inside, the SportShiftTM lever on the Hydro-Gate® system lets you shape the wake from the helm, so you can go from wakeboarding to skiing to tubing faster than you can say "who's next". The list of family-friendly standard features seems never-ending. For Mom, the walk-thru design keeps everything within easy reach, with plenty of cooler and storage space, plus LED interior lighting, composite boarding platform and much more. For Dad, the new folding tower makes storing the 216 in a garage quick and easy. Optional ballast tanks, swivel racks, tower speakers and many other add-ons let you customize your 216 to your family's precise needs. Only Nautique could build a boat this versatile, this inspiring, and with a wake this easy-riding.